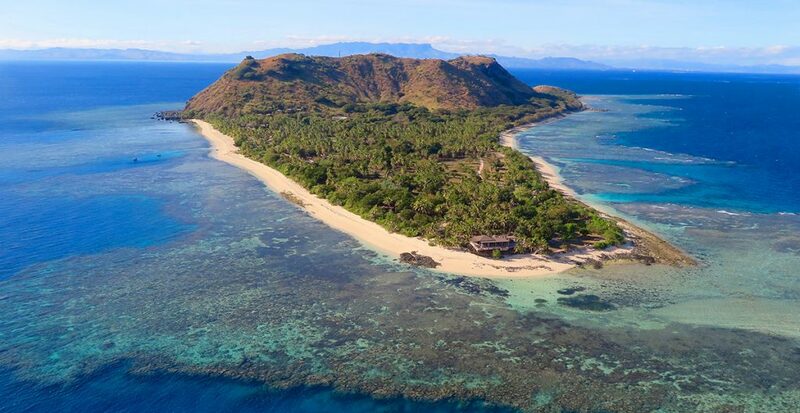 Detached from mainland Fiji and located on the edge of the Kadavu Island Group, Kokomo Private Island Fiji is a retreat for families and is the ultimate honeymoon escape. Surrounded by the Great Astrolabe Reef, the island has pockets of lush rainforest and several stretches of white-sand beaches. 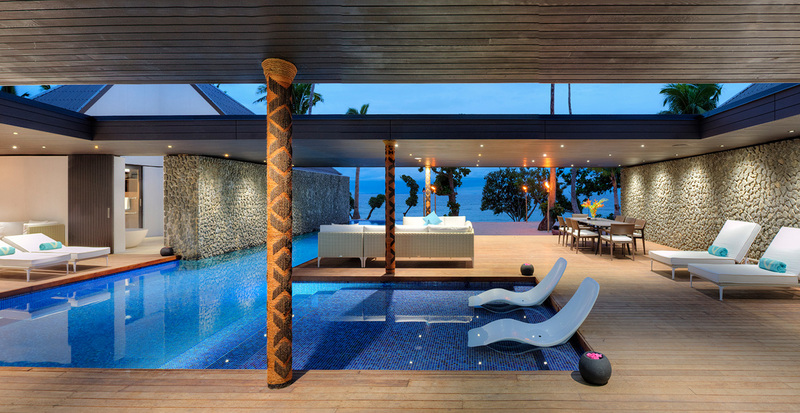 The resort intertwines traditional Fijian design with modern contemporary living, built from local sustainable materials like plantation timbers and stone from the island. Suite Life> All luxury suites feature indelible views and a private infinity pool and garden. Beachfront villas offer absolute privacy, direct beach access, and ocean views. Kokomo also features five large luxury residences. Not To Miss> Explore underwater caves by boat on a nearby island, and then trek up to a waterfall, where you can cool off at the base. Or join resident marine biologist Cliona O’Flaherty during a hands-on experience for the Kokomo’s Coral Restoration Project, which helps ensure local reefs continue to thrive. 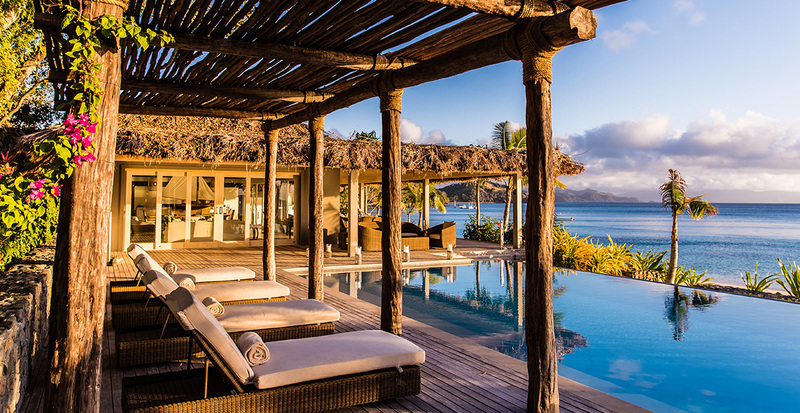 Stretched over two private islands, this sophisticated retreat features white-sand beaches and crystal-clear waters. The island is home to Mt. Vomo, which rises from the eastern side of the island. Take in spectacular sunsets from the smaller island Vomo Lailai at The Rocks Bar—one of the most raved about bars in the South Pacific. 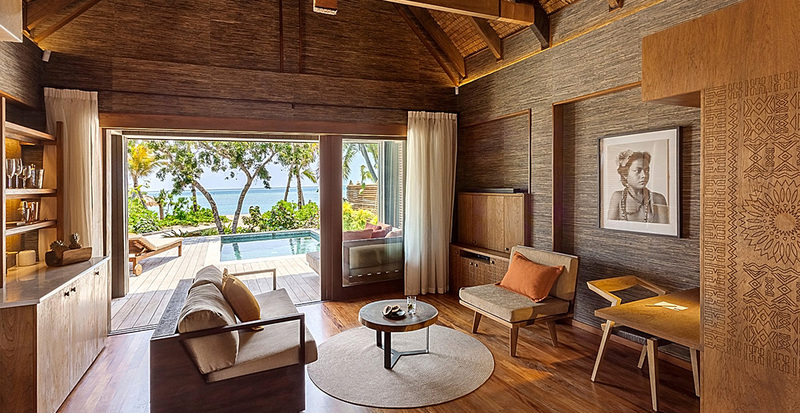 Suite Life> Whether you opt for resort villas nestled in beautiful gardens or a private beachfront residence, experience authentic Fijian touches fused with European elegance. For families or larger groups, enjoy the exclusive Palms residence located on Yasawa Beach. With contemporary design, spacious living areas, and a private pool, it’s the ultimate live-in, live-out residence. Not To Miss> Explore the island by hiking Mt. Vomo, or take advantage of complimentary stand-up paddleboards, kayaks, and snorkeling gear. Visit the PADI Ocean Play Dive Center, which offers personalized experiences with instructor-led courses like underwater photography and videography. 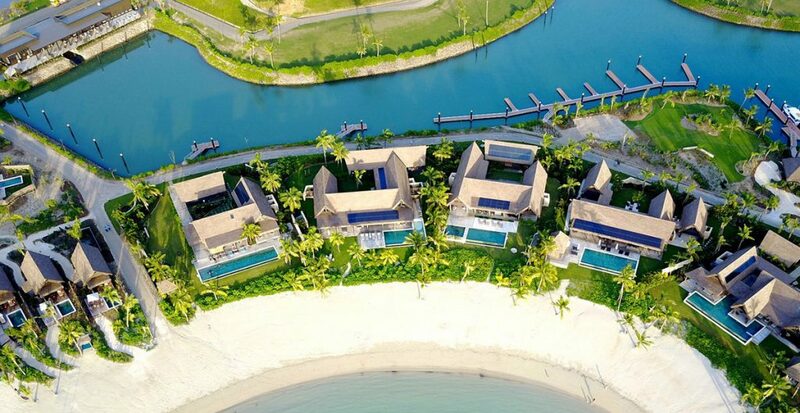 Located on the tropical island of Malolo, the resort is consistent with the commitment of the Six Senses group, famous for extensive sustainability efforts to reduce its carbon footprint. Cuisine features a contemporary take on traditional Fijian fare, and all resort restaurants source organic, locally produced ingredients along with herbs from the resort’s garden and farm. Suite Life> Villas and residences offer garden or beachfront views, outside decks, a private plunge pool, and an outdoor bathroom. Additionally, the Beachfront Pool Villa can accommodate up to 10 guests and provides the ultimate in privacy. Not To Miss> Experience a Fijian sunset fire-lighting ritual at Tovolea Restaurant, Bar and Lounge. Visit nearby Solevu to witness indigenous arts and crafts and enjoy a traditional lunch with local villagers. 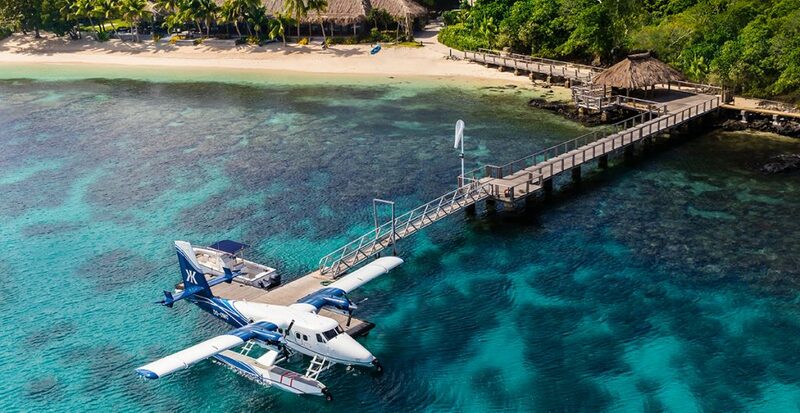 Contact us today and plan your Fiji escape.